South Australia’s largest non-government disability services organisation is set to restructure its $30 million commercial enterprise operations and transform it into a social enterprise. 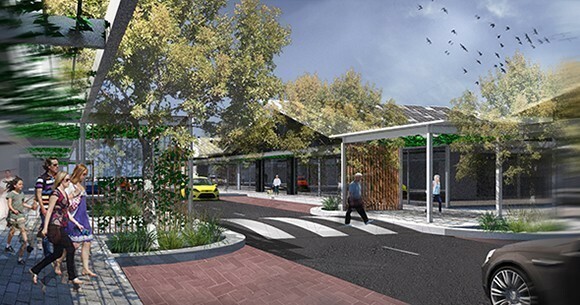 New lifestyle precinct to be built at Minda’s Brighton site in South Australia. Minda’s Commercial Enterprises provide supported employment opportunities for people living with intellectual disability. The restructure, which begins on 1 July, will create a separate division which Minda hopes will generate more opportunities for supported and open employees through the different businesses, and drive greater productivity. Minda CEO Cathy Miller told Pro Bono Australia News they were very excited about the change. “We’ve been working hard to build our enterprises in recent years with the acquisition of South Australian Group Enterprises in 2014, and the forthcoming expansion of the laundry,” Miller said. “The aim of the restructure is to maximise each business and ensure our overarching social enterprise model is best placed to thrive going forward and respond to the dynamic NDIS environment. Minda’s commercial enterprises include Craigburn Nursery, Packaging Solutions, Laundry and Linen Services, Hospitality, Envirocare, TRAK Furniture and Horn Australia. South Australian Group Enterprises (SAGE) operations include Aspitech (SA’s largest e-waste business), Inprint Design and Wire Ware. Miller said growing the commercial activity was a key strategic focus for Minda. ”We have to earn more to do more for the people we support,” Miller said. To facilitate the restructure, a new position of General Manager (Commercial Enterprises) has been created to oversee the division and is currently being recruited. 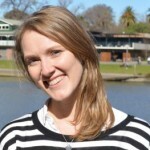 “This new leadership role reflects our investment in the long-term future of social enterprise at Minda. It’s pivotal to the success of our plans to increase commercial viability and sustainability across our business portfolio,” Miller said. “Minda already enjoys an outstanding reputation for disability employment, this restructure is the next major step in building our unique social enterprise model and creating a broader jobs platform for South Australians with disability. Miller said the restructure was part of an evolution over many years. “Minda was predominantly, in the early days, an accommodation service and we also had a school at our Brighton site, once the children of the day grew up it was decided they needed to become productive and so what emerged out of that space was the early Sheltered Workshops, and from that evolution we’ve evolved into what’s known as Australian Disability Enterprises where people are provided work. And really the main purposes of our enterprises have always been in the past about social purpose, to provide work for people with disability, and as a result of that there hasn’t been any focus on the ongoing viability, sustainability or commercial side of those businesses so what this change is all about, is we’ve restructured commercial enterprises with a commercial model, into social enterprise. “So it’s purpose will be two-fold, both social purpose, so it will still provide employment for people with disability and hopefully for more people with disability in what is know as open employment, so on a standard wage, and it will also be commercially viable in its own right. “I guess why we’ve done this, we took one of our small businesses, known as the laundry, and we have relocated it, so in terms of the way it works at the moment it is pretty traditional, very large washing machines, very large dryer, lots of labour and it does about 23 ton a week of linen, basically customer owned garments, that’s going and being relocated into a commercial laundry that will do at the end of 12 months about 150 ton a week and it will be a combination,it is not a fully automated laundry that you would normally see because we’ve incorporated into the design aspects of manual handling of laundry and linen so that people with disability can work in laundry.